Honestly I considered sitting this topic out because I am SO not a New Year resolution girl. But then I thought to myself, a goal doesn’t need to be lofty to be a goal. So prepare yourself to be unimpressed: my 2018 goal is to not have so many Bravo shows languishing unwatched on my DVR. After my daughter goes to bed, I have been watching an episode or two while folding laundry or performing a similarly mundane task. What is the lifestyle benefit of this? A tidy DVR queue is deeply satisfying. And I am now able to keep up with my friends on the latest Vanderpump Rules happenings during play dates. Incidentally isn’t Jax Taylor the worst!?! Linking up with Shay and Erika. I have been trying to be more intentional with my time and pick up a book more often than a TV remote. I did pretty well in December. But before I become too self congratulatory I need to remember most of my shows were on winter hiatus! Today I am linking up with Steph and Jana. I look forward to seeing what everyone is reading as I am always looking for suggestions. 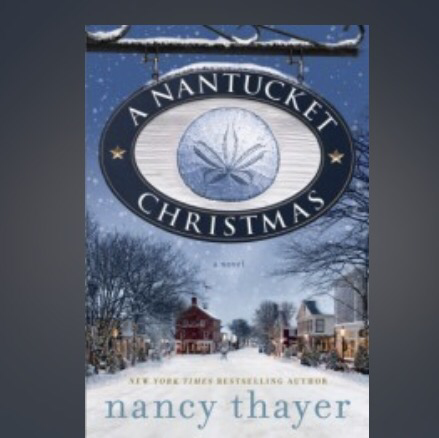 A Nantucket Christmas kicked off my December reading, I tried to sneak in a bunch of Christmas themed books. This was light and happy. Was it realistic? Um, no. But no I want gritty reality while I am sitting in the glow of my twinkle lights anticipating my favorite holiday of the year? No of course not. The Bright Hour is absolutely the opposite of happy and light. 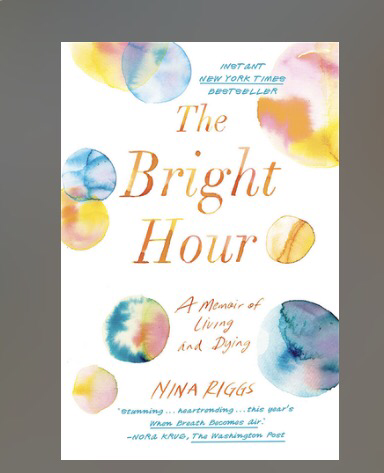 Nina Riggs wrote a memoir detailing her cancer journey. It is exquisite sly written ( Riggs was a writer) but was almost oppressively sad. 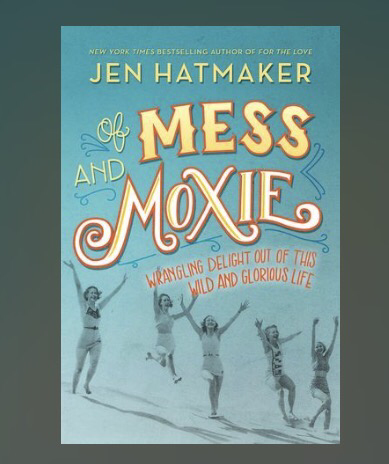 Of Mess and Moxie is my favorite kind of book both laugh out loud funny and deeply encouraging. 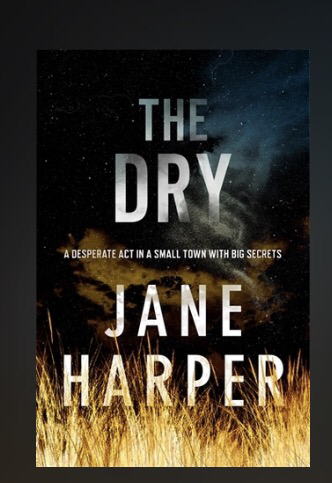 The Dry was a page turner that I greatly enjoyed. It definitely kept me guessing for the entire novel. 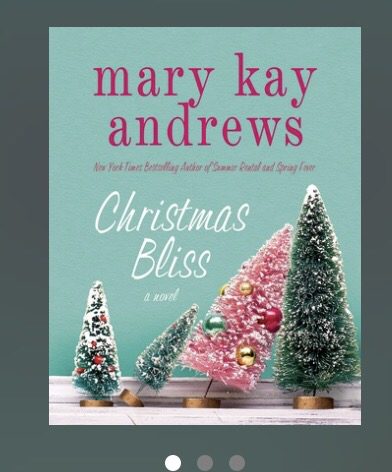 Christmas Bliss honestly I barely remember the plot line for this one. Which is exactly what I wanted when I picked it up. After having read a dying woman’s memoir and a murder mystery thriller I was in desperate need for something frothy and fun and forgettable. 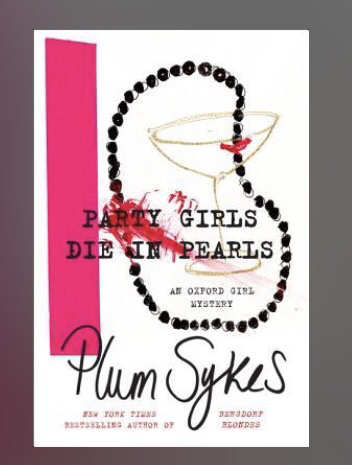 Party Girls Die in Pearls was a murder mystery which felt to me a little far fetched. But what I really liked about the book was that it was set at Oxford in the 1980s which was living up to the adage “write what you know” as Plum Sykes, the author, attended Oxford in the 1980s. Sykes peppers the novel with insider information which is explained in footnotes. The setting is what made the book, it was very interesting! 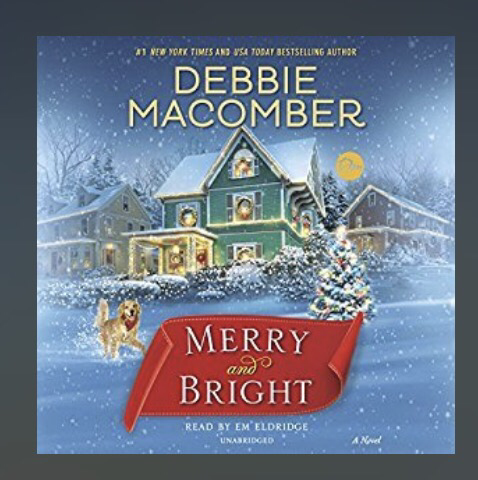 Merry and Bright okay I should not have felt virtuous for my ‘reading’ in lieu of Hallmark Christmas movie watching as this one was essentially a Hallmark Christmas movie in book form. ( Many of Macomber’s books have been adapted into Hallmark movies). That said this was happy and heartwarming so the perfect thing for me to read in the days leading up to Christmas. I did have to chuckle a few times as I did have to suspend my disbelief (men do not generally think nor talk like the characters in a Macomber novel in my experience). Whew, I think that covers my December reading! I hate disclosing spoilers so was deliberately vague in my descriptions but am happy to answer questions about any of the books. Well any of the books except Christmas Bliss which apparently I have forgotten already! Today I am getting back into the swing of things by linking up with The Blended Blog. 1. Not usually. I do set specific goals for myself throughout the year. 2. Love snow! But come March will be ready for spring! 3. I would love to begin crossing some of the National Parks off my bucket list. 4. At this very moment hair color, my roots need some attention especially since they come in, gulp, gray! 5. Be better about taking care of myself. More frequent trips to the salon ( see above note about my roots). 6. Being so cold and dark makes me hibernate. It takes Herculean effort to motivate myself to leave the house after dinner. 7. Bring cold and dark means I go into full on cozy mode. Lit candles, hearty slow cooker meals ( so 2015, clearly need an Instapot! ), wrapping myself in a soft blanket. 8. Generally January first. I am ready to have my house back! 9. Yes! I gain weight every single year which I spend every single winter losing. Which is at odds with my above listed hibernation instincts. 10. My daughter’s playroom needs a major overhaul! Such a disaster area. 11. I love making beef stew and serving it over homemade biscuits. Which run contrary to my winter dieting. 12. My daughter attends three year old preschool twice a week for a couple of hours. 99% of the time I use that time to clean, prep dinner, go to the grocery store. But 1% of the time I will watch The Crown on Netflix or read the latest Elin Hilderbrand novel. Full on me time! This was fun! I definitely am at odds with myself wanting both comfort food and to diet! I imagine lots of dormant blogs will revive a bit with the fresh start that a new year brings. My hope is to do better in 2018. I want to have a record of my little family. There are so many sweet moments and to be honest some hilarious ones as well! And I want to preserve them. 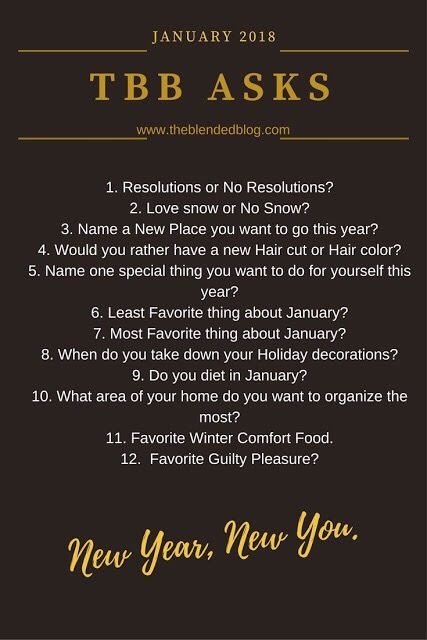 Linking up with The Blended Blog this morning. 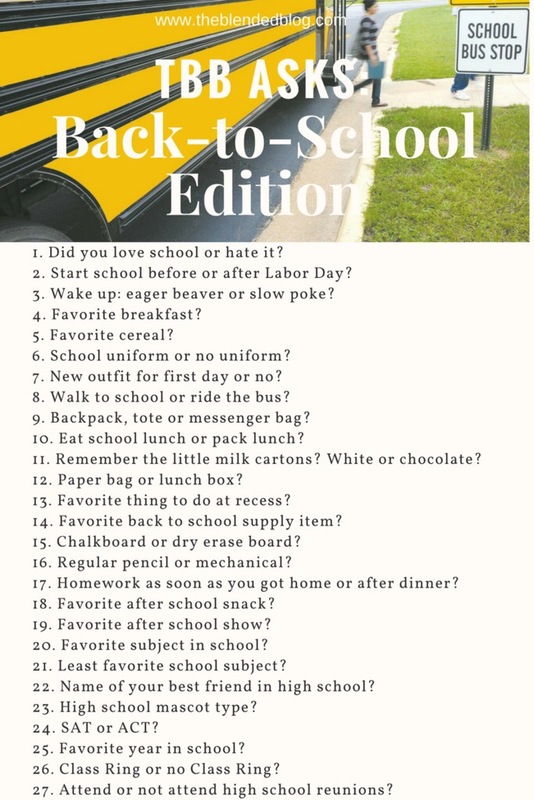 Loved anawering these back to school questions as it is my very time of year. A new school year is a fresh slate and there is a sense of anticipation for the adventures the year will bring. 1. There were unpleasant periods of course but on balance I loved it! 2. After Labor Day. I grew up in a tourism based community so I think there was pressure to not begin school until after the last busy weekend of summer. 3. I am a morning person now but during my school days not so much. In high school I used to shower, do my make up and somehow end up back in bed most mornings. The struggle was real. 5. Back then I liked Corn Flakes (could I pick a more boring cereal!?!). Now if I do cereal I try to eat a high fiber option like Kashi. 6. Have never attended a school that required a uniform. 7. Absolutely a new outfit for the first day. My very first day of high school I wore an acid washed Guess mini skirt with a pink sweatshirt at least 5 sizes too large for me, pink slouchy socks stuffed into my Tretorn tennis shoes and my gigantic perm was attempted to be tamed with a bandana handkerchief I had fashioned into a headband. Could I have been more of an 80s fashion victim!?! 8. In elementary school I lived close enough to walk but we moved to the country when I was in third grade where the bus was the only option. 9. Backpacks in my younger days. In high school I favored totes with gigantic designer labels. Again the 80s. 10. Sometimes packed a lunch but usually ate the school lunch. I was pretty picky about it so am not sure how much lunch I actually consumed most days. 11. For most of my school experience chocolate was only an option on Fridays. But part way through high it was offered every day so of course I drank it every day. But I actually sort of missed it being a special Friday thing. 12. Snoopy lunch box in elementary school. In high school a brown bag. 13. At recess my friends and I would trade stickers for our collections or play Strawberry Shortcake dolls which we’d brought from home. 15. in case you haven’t caught on yet…I am OLD! So chalkboard of course! 17. I didn’t bring a ton of work home as I tried to get it done at school. But probably after dinner as after school was for Loveboat reruns. 18. Cookies usually. On one memorable occasion I ate an entire box of Girl Scout cookies. RIP awesome metabolism. 21. Gym class and chemistry was a struggle. 22. Kirsten–we live in different states now but still keep in touch. 24. I took both, but the colleges I applied for required the ACT. 25. Went out on a high note, senior year was by far the best. We had a lot of fun! 26. I unenthusiastically had a class ring. I chose an inexpensive one which was good as I promptly lost it. 27. My clas had a 10 and 20 year reunion and I attended both. So fun to catch up! Good morning! Am linking up with Andrea, Erika and Narci for Friday Favorites. Today I am going to be super brief as I have lots to do to prepare for the fun weekend we have planned. My theme is ‘real life’. Of course I love when my family cooperates with the idyllic vision I had of what a family would look like before I actually had kids and when they do it before a camera ( or iPhone) even better! But honestly sometimes the unscripted, messy or even inappropriate moments are the sweetest as that is when they are truly being themselves and is there anything more beautiful than that!?! On the blog I tend to only show pictures of my my 2 year old daughter as my stepson is 15 so he probably doesn’t want/need to have his ‘real’ moments publicized, but trust me I have a treasure trove of photos of him as well! 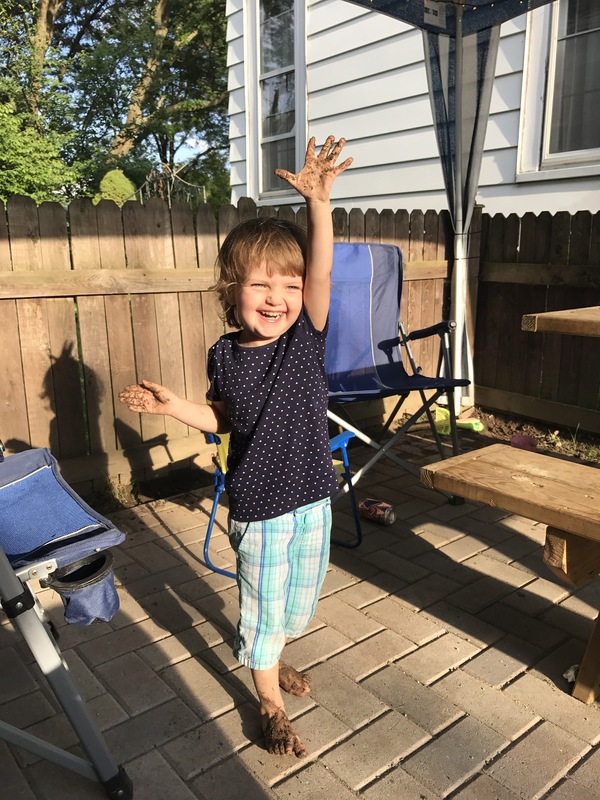 The above photo has so much that on paper would irk me: the mismatched outfit ( Julia chose it herself) and the mud EVERYWHERE! But uncharacteristically this picture makes me so happy as it conveys the pure joy of childhood! When I look at it I remember how proud Julia was to choose her own outfit. And the mud hurt absolutely nothing–she was wearing play clothes and was about to have a bath anyway so the mess was totally worth the fun she had baking mud cupcakes! Julia has so many ‘fancy’ toys and of course she enjoys playing with them. 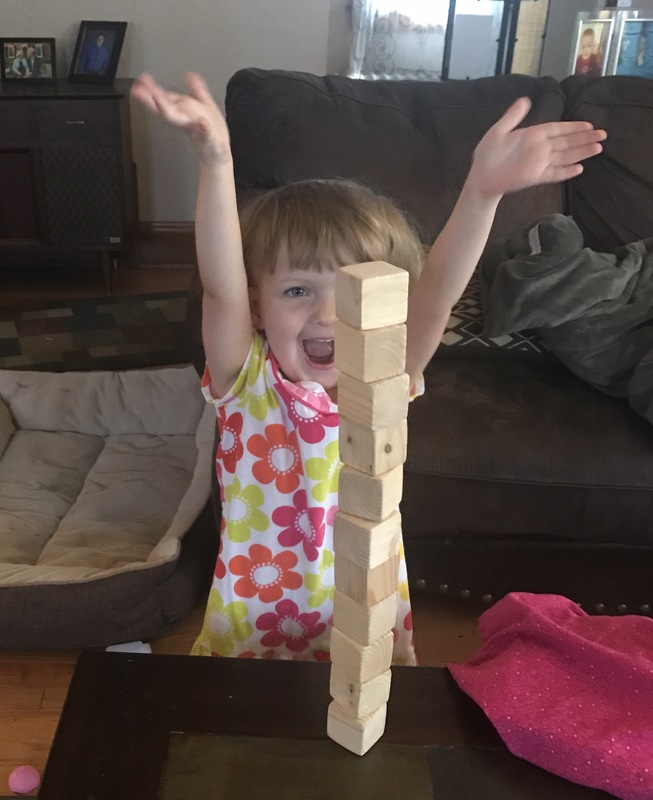 But one of her absolute favorite toys is far from fancy: my dad made some plain, basic blocks out of some scrap wood he had and she LOVES building with them! Makes me happy to watch her use her imagination to make those simple blocks into castles and skyscrapers. Okay, I told you this was going to be short and sweet! Next week I will share some of our back to school clothes haul. Okay, am linking up with Andrea for Show and Tell Tuesday. I am about to get real as the topic is guilty pleasures and I humbly believe I am the grand master of guilty pleasures. I love, love, love to sing. The problem is I could not be more tone deaf! So one of my most favorite guilty pleasures is to crank up some totally cheesy power ballads and belt away. Think Air Supply. The more dated and sappy the jam the better. I don’t do this often but my goodness is it relaxing: watching a diet/fitness show while simultaneously bingeing on something naughty. There was a show on A&E last year called ‘Fit to Fat to Fit’ in which a personal trainer would take 3 months to gain as much weight as possible and then they would lose the weight along side their client. I would watch it with a can of Salt & Vinegar Pringles. Is there anything more pleasurable than taking a personal day off of work on one of the first nice days of spring and spend it on an outdoor patio eating Mexican food and drinking margaritas!?! My best friend and I used to do that annually and those are some of my happiest memories. Proven fact: nachos taste better during the work day!